Breaking the Labels: Blog Spot | Not Just a Concept… It's a Movement! Artists with a budget of at least $1K to $20K hit me for real results on Marketing and Promo. It is not FREE for ME so STOP asking me to do it for FREE! Plain and simple! If you have no way to pay for services, how can I help you!?!? Real Indie Artists trying to get on major with a hot feature from a major artist holla at me!!!! Perfect timing Iam BigMike is dropping the Bayou Classic album SOON. Watch how a collaboration can lead do success!! 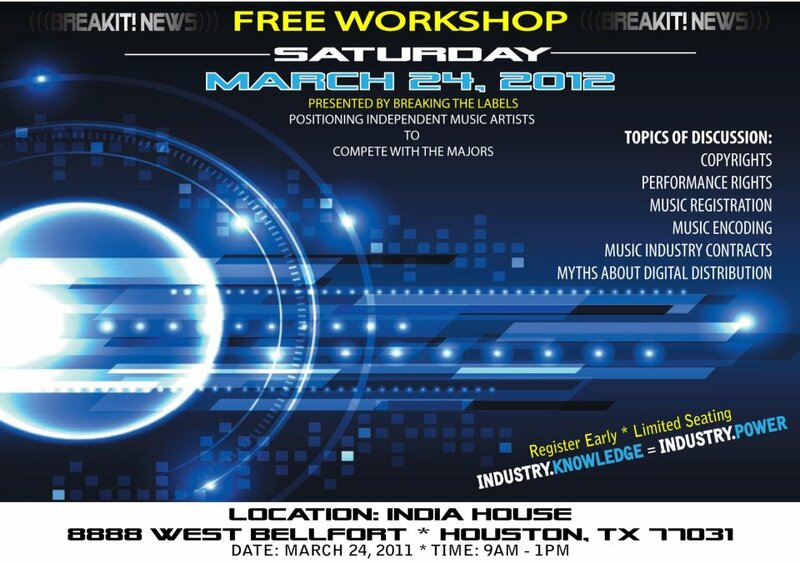 Hit me up 832.969.5666 or breakingthelabels@gmail.com (SERIOUS ARTISTS and LABELS ONLY!!!!!!) #BreakIt!